Matcha Oats Bliss Balls: Super Easy and Delectable Anytime Snack that’s filled with goodness of Matcha + Oats (few other ingredients). Make’s a great Diabetic snack. that’s definitely my motto and I can talk endlessly about it …. Infact, we all are big time snackers at home. There are days when all we want to eat is snacks for breakfast/lunch/dinner, it sounds perfect for me and D, but there’s just one exception..many of our immediate family members suffer from Diabetes and cannot munch on any or everything. 3. Regular exercise or light exercise is very important…and the list goes on. So, for the LOVE of snacks, I’m always on a lookout for Diabetic snacks that not only tastes amazing but also helps manage hunger. 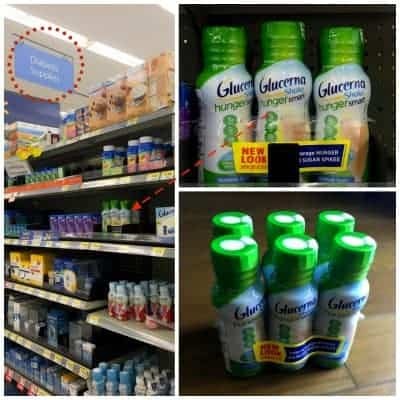 That’s how we recently came across ‘Glucerna® Hunger Smart™ Shakes’ (Chocolate and Vanilla) at our local Walmart in the Diabetic Supplies Isle and brought both the flavors. Glucerna® Hunger Smart™ Shakes (Chocolate and Vanilla) – Delicious way to help stick to your weight loss plan. 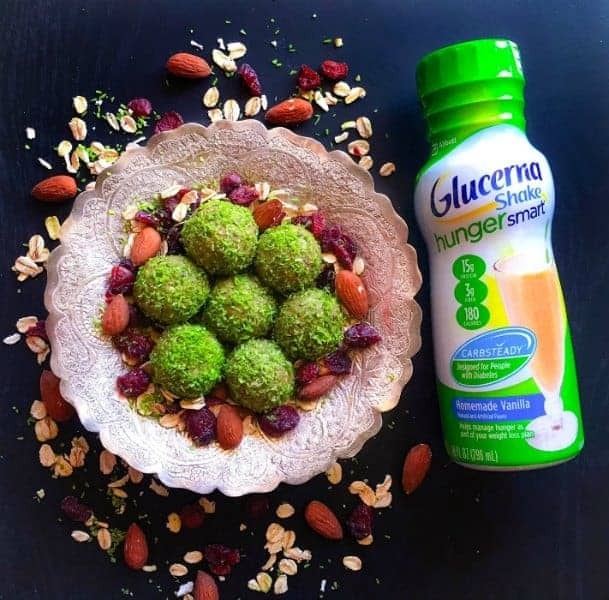 Each satisfying Glucerna® Hunger Smart™ Shake has 15 grams of protein to help manage hunger, and CARBSTEADY®, which includes slowly digestible carbohydrates designed to help minimize blood sugar spikes. They have definitely become a part of our daily snacking (for the diabetic family members). And for me as a quick shake to curb those 3 pm cravings as they have 66% fewer sugars, making them a very smart choice to help manage hunger. 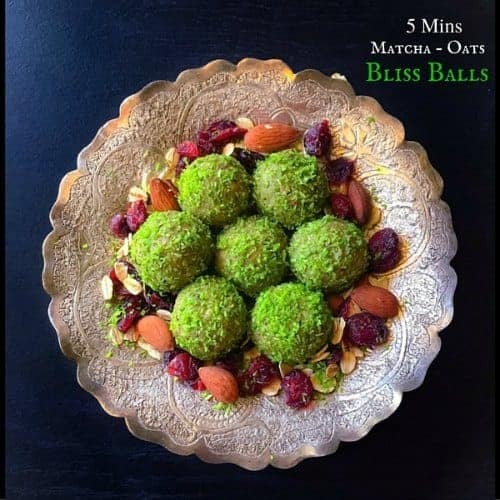 I also made ‘ Matcha – Oats Bliss Balls (5 Minutes Recipe) ‘ to enjoy along with them, an absolutely no-cook snack…. just gather the ingredients, pulse everything together, shape into round balls and enjoy! They are packed with the goodness of Matcha (specially grown n processed green tea), oats, chia seeds, cinnamon powder, cranberry and almond butter. And make a great diabetes snack because of all natural ingredients. One thing I usually follow for all my co-cook snacks, that is to make a huge batch and store them in an air-tight jar in the fridge for a quick snack. These bliss balls are made from all natural ingredients and are absolute ‘Vegan’ and ‘Glutenfree’. 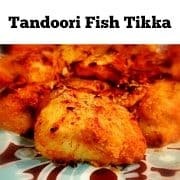 But as many of you always ask me for a small to medium size recipe, hence the ratio used in this recipe makes 12 balls but you can easily increase all the ingredients to make many more. 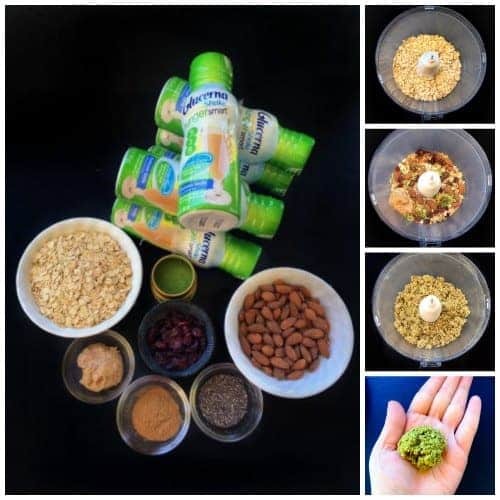 Here’a a quick guide to the process of making these Matcha – Oats Bliss Balls (5 Minutes Recipe). 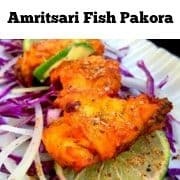 I hope you give them a try soon as they make a delicious snack, are easy to carry anywhere and satiates your hunger for longer. Super Easy and Delectable Anytime Snack filled with goodness of Matcha + Oats. Make's a great Diabetic snack. Pulse all the ingredients in a food processor till a granular dough is formed. Using a small ice-cream scoop or a tablespoon, scoop 1 Tablespoon of dough and place in your palms. Form round balls and continue the process till all the dough is finished. In a small bowl, mix coconut powder and 1/4 tsp matcha powder together to form green flakes. Roll and cover each ball with this coconut-matcha mixture. 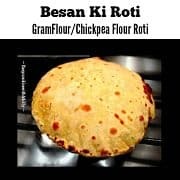 Serve Fresh or store in air tight jar in fridge for upto a month. 51 Replies to "Matcha Oats Bliss Balls (No-Cook - 5 Minutes Recipe)"
I’m glad you found our recipe and liked it 🙂 Thanks for visiting Zena ! 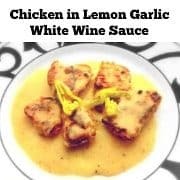 I am so sorry, I am a first time cook. Where do you buy Matcha powder and coconut powder? 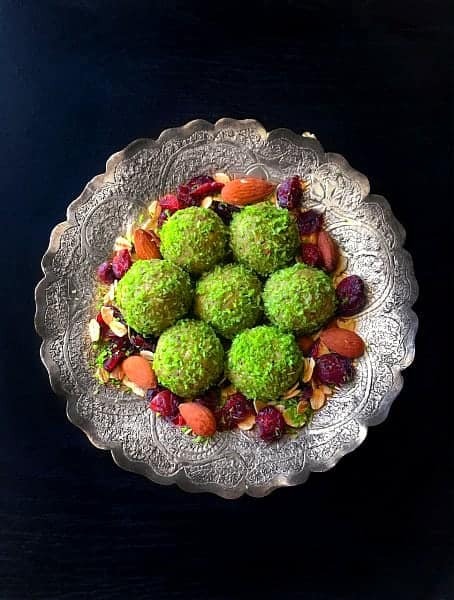 I want to try your Matcha-Oats Bliss Balls (5-Minute Recipe), looks delicious and healthy at that. Thank you so much! I love the color the matcha gives them! I think cranberries are the perfect choice for these to give that little tart-sweetness that goes so well with matcha. 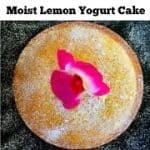 That is so true, love the tart-sweet combination in this – Thanks for visiting Gin. What a pretty colour green! I have yet to try matcha but these look so good. I need to get some! I am with you on snacking! 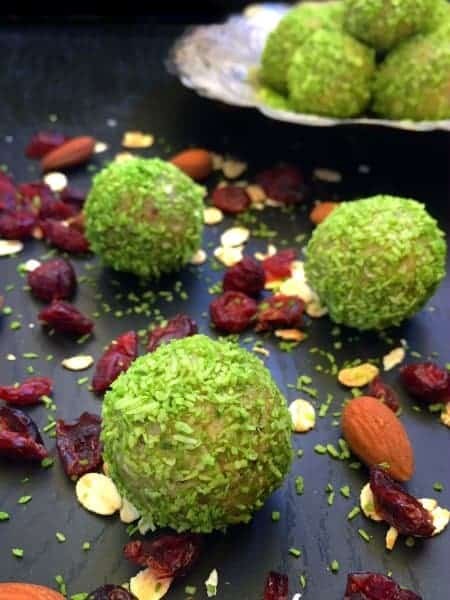 I always have to have lots of snacks prepped and ready to go, as everyone around here loves snacking 🙂 Love the flavours in these bliss balls, and the colours are just beautiful!